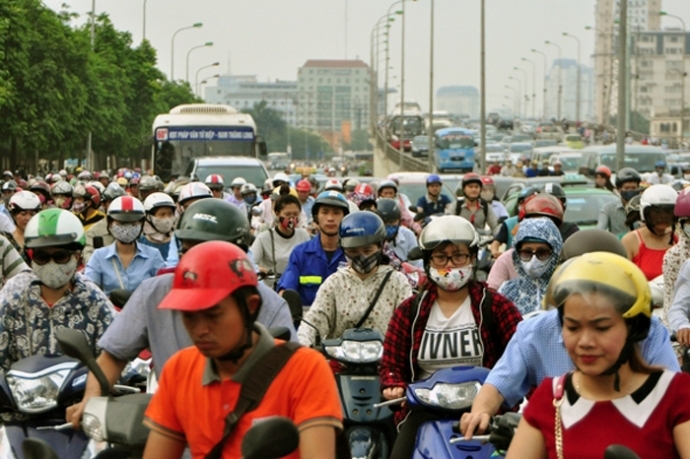 HA NOI (VNS) — People whose vision is less than 4/10 after wearing glasses, will not be allowed to ride 50cc to 175cc motorcycles in Viet Nam. This is part of a new circular on drivers' medical standards, issued by the health and transport ministries, which will take effect from October 10 this year. Accordingly, drivers must not have less than 5/10 vision with glasses to be eligible for driving vehicles with less than nine seats and lorries weighing less than 3.5 tonnes. Bikers and car drivers will not be issued driving licences if they suffer from colour blindness and cannot distinguish red, yellow and green colours, and have mental and physical disabilities. The new regulation also bans people who use drugs and exceed the legal alcohol intake limit from driving. The criteria on weight, height and chest size, included in a decision issued in 2008, have been removed and replaced with nine standards that cover the mental state, nerves, eyes and ears-nose-throat, besides the respiratory system and muscle-bone articulation. Drivers must provide correct information about their state of health and previous diseases as well as follow the medical staff's instructions during health check-ups, the circular says.